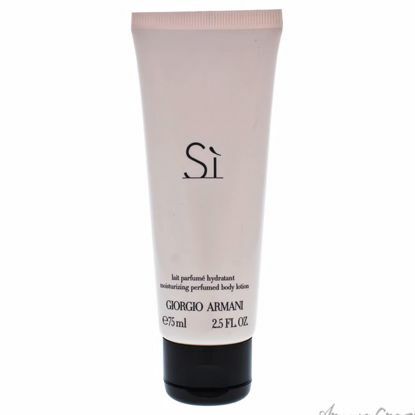 Launched by the design house of Giorgio Armani in the year 2013. 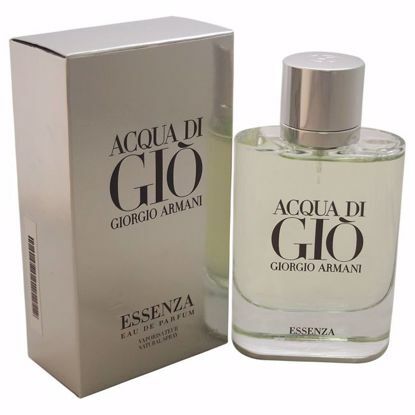 This chypre fruity fragrance has a blend of cassis, freesia, vanilla, may rose, patchouli, ambroxan, and woody notes. 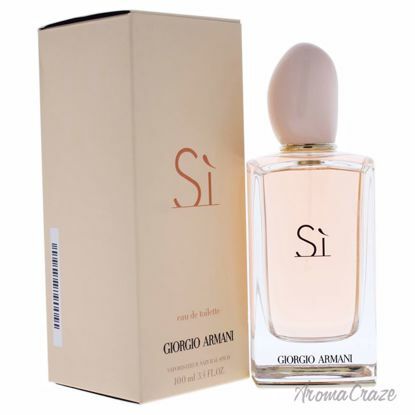 Giorgio Armani Sì Eau De Perfum is a tribute to modern femininity, an irresistible combination of grace, strength, and independent spirit. 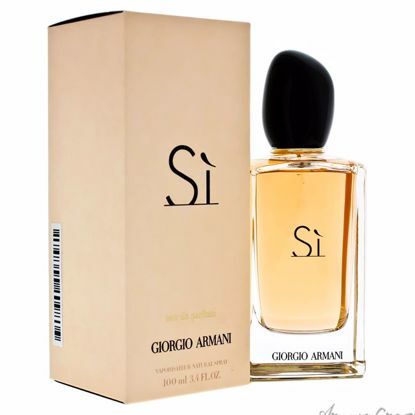 Sì eau de parfume lingers on the skin and enchants the senses. The distinguished and elegant fragrance allows women to express their every emotion. All our fragrances are 100% originals by their original designers. A Modern, Feminine and Sophisticated Fragrance for Women. 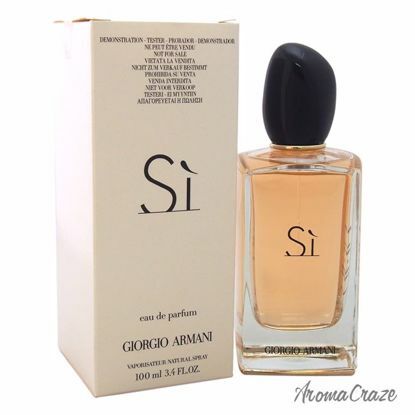 Launched by the design house of Giorgio Armani in the year 2014. This chypre fruity fragrance has a blend of cassis, black currant, mandarin orange, bergamot, rose, neroli, vanilla, and woody notes. 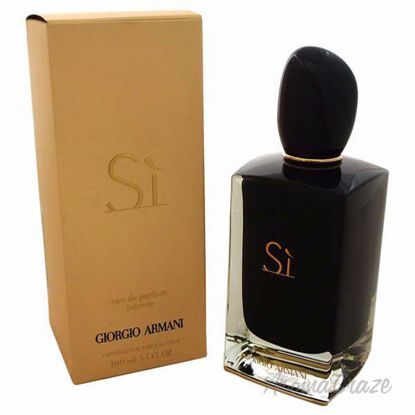 Launched by the design house of Giorgio Armani in the year 2015. This chypre floral fragrance has a blend of black current, pear, mandarin orange, bergamot, neroli, rose, musk, amber wood, vanilla, and patchouli notes. 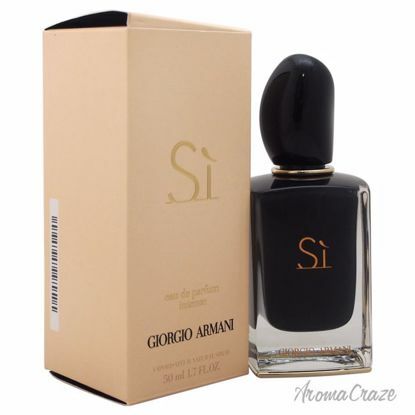 Launched by the design house of Giorgio Armani in the year 2013. This chypre fruity fragrance has a blend of blackcurrant nectar, airy florals, and musky blond wood. 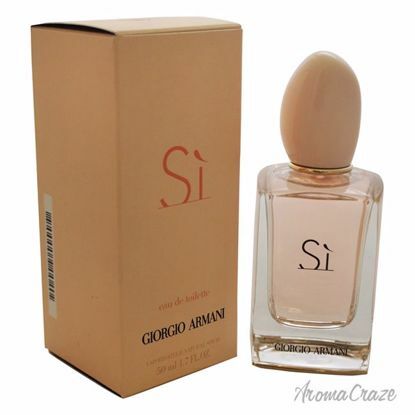 Launched by the design house of Giorgio Armani in the year 2013. This aromatic fragrance opens with bergamot, mandarin oil, cassis, rose, neroli, jasmine, patchouli oil, blond woods, amber, and vanilla. It is recommended for casual wear. 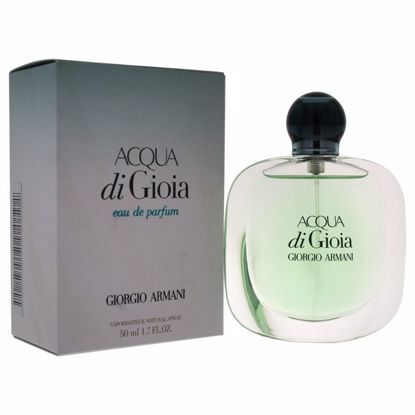 Launched by the design house of Giorgio Armani in the year 2013. This aromatic fragrance has a blend of bergamot, mandarin oil, cassis, rose, neroli, jasmine, patchouli oil, blond woods, amber, and vanilla. 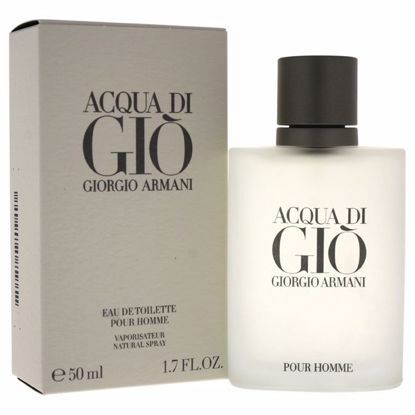 Introduced by the design house of Giorgio Armani in 2010. This feminine scent posesses a blend of jasmine sambac, cedar, labdanum, aquatic green accord, peony, brown sugar accord, mint leaves, pink pepper, limone primo fiore. It is recommended for casual wear.